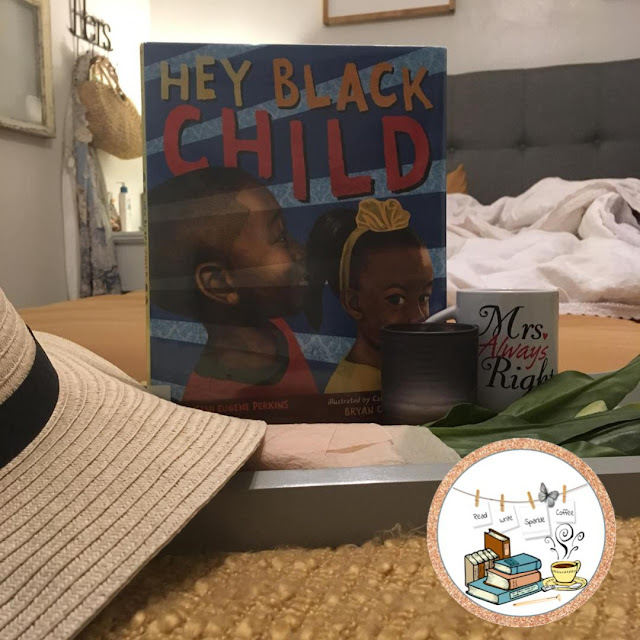 Hey Black Child by Useni Eugene Perkins is a lyrical poem celebrating black children and inspiring all children to dream big and achieve their goals. The illustrations of this book are both watercolor and collage, making it unique and vibrant just like the words of the poem. The book includes an author's note which tells the reader that this book was originally a poem written in 1975 for a closing song for his children's musical, Black Fairy and Other Plays. It was written to inspire and motivate black children to achieve their God- given potential regardless of the challenges they face in life. 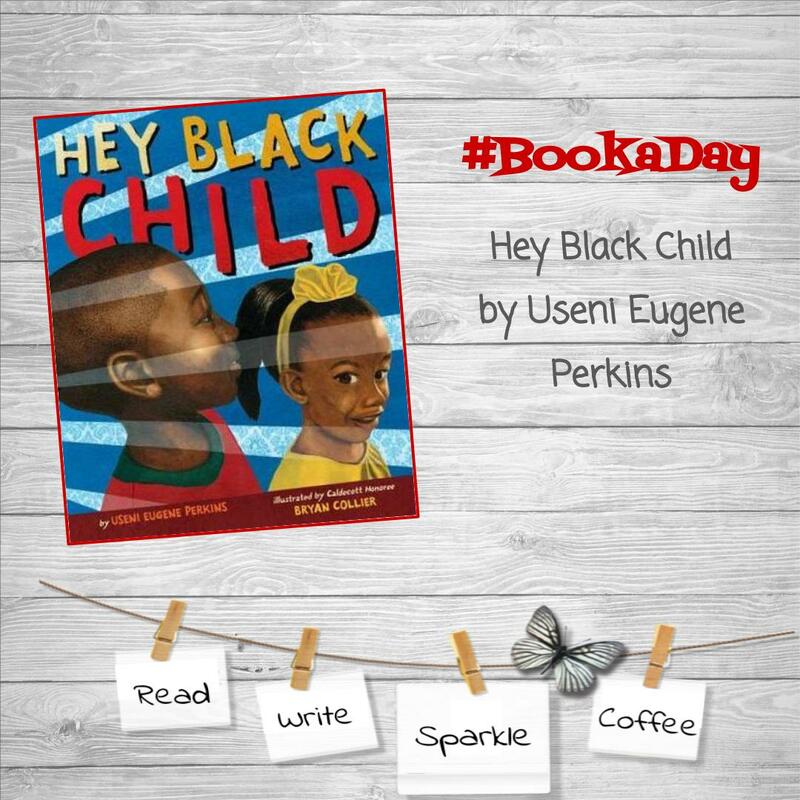 Perkins knows that when given the opportunity, resources, and love; black children can achieve heights that are as majestic as the ancient pyramids of Egypt (which were built by their venerable ancestors). Hey Black child is a song written for the musical "The Black Fairy" by Useni Eugene Perkins with music by Tony Llorens and Jami Jerry Johnson produced and directed by Pemon Rami in 1975, The song in the video below, features vocals by Patricia Crawford, Denise Llorens, Greg Curry and Masequa Myers. I love the message of dreaming big and achieving goals. It is an inspirational message to be heard of ALL children. 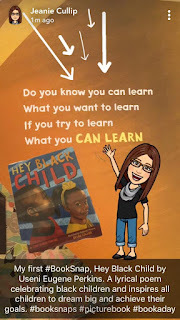 I also love how it is addressed, "Hey Black Child" did you notice it did not say African American? I understand that at one time, to some it was politically correct to address a black person as African American. But if they are not from Africa, what makes them African? I have had this conversation with many people of color and they would be preferred to be described as black, if they are lacking other means of identification. 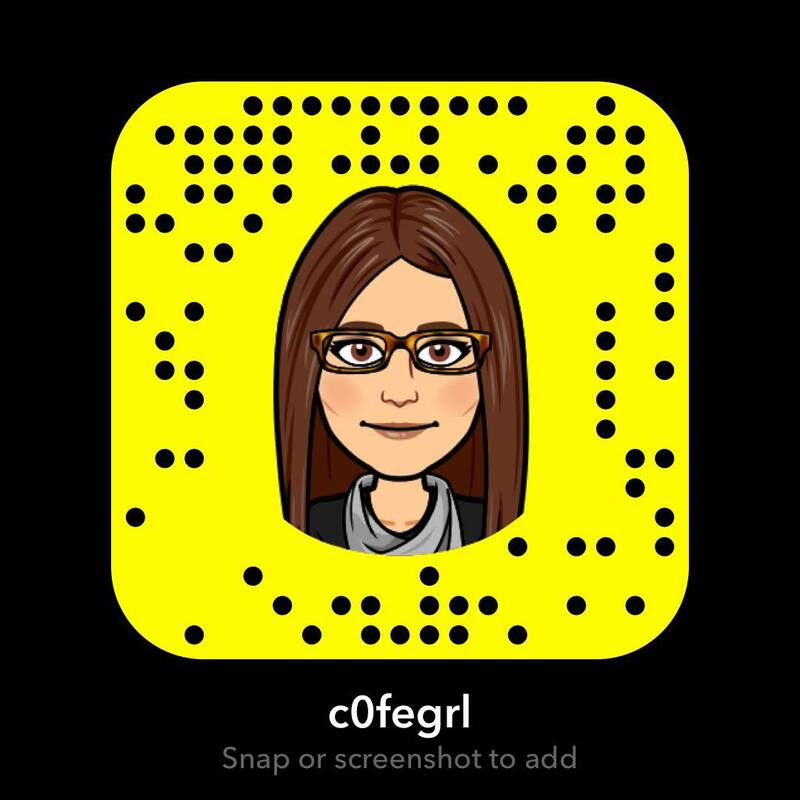 In addition, I learned about #BookSnaps today and then found a purpose for my SnapChat account that I have never used! Tara Martin, founder of #BookSnaps, describes them as digital, visual representations of learning which can showcase student voice and choice. I see them as away to allow your students to make use of their tools they can use to annotate books and share their thoughts and ideas on books they are reading. #BookSnaps can be used at any grade level and for any subject; engaging them through the use of Snapchat to encourage reading. 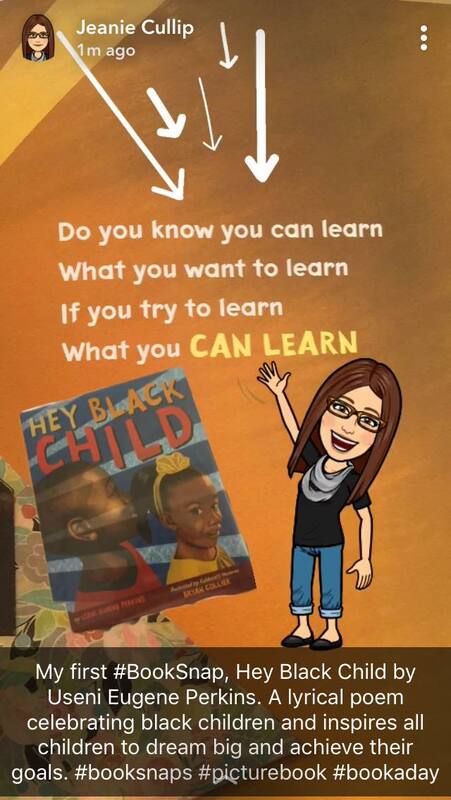 You can learn how to make your own #BookSnap, here. It allows the reader to connect an idea or thought by creating a digital visual representation. The visual representation solidifies the text content within the mind and signals the brain to retrieve the idea from memory. To personally connect to the text. It has its own hashtag #BookSnaps on Twitter! It’s EASY! 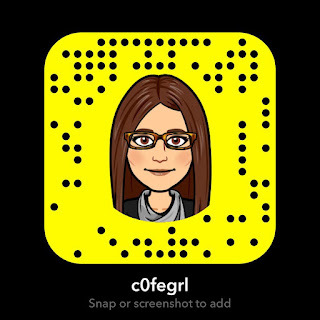 Just read, snap, reflect, add stickers, share, and repeat. I love the way you are publishing your #bookaday challenge books. 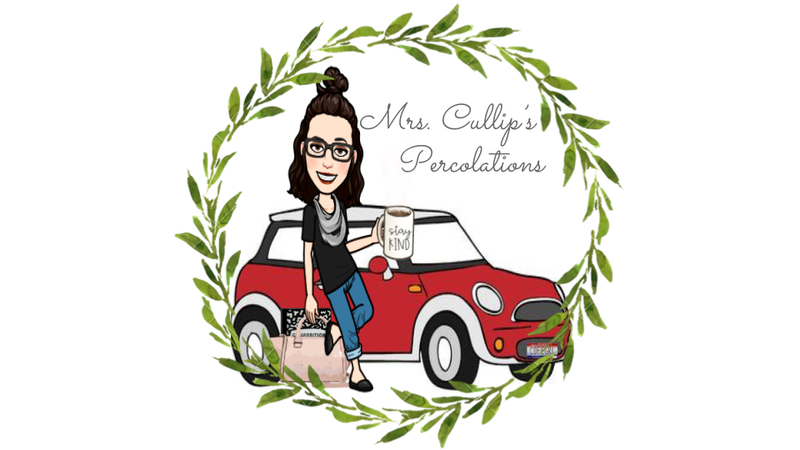 May I share what you have done on my blog? I want to write about the tech, and I want to give you credit for my inspiration. I will also link your blog if you don't mind. I just love the #bookaday page on your blog! Thank you Jan, this adventure has been educational and very rewarding. I believe I will be reaping its benefits for a long time. Yes, please feel free to share my #bookaday on your blog. Thank you! If you would like to see, go to jjhamilton7.wordpress.com It is called Just Thinking and is titled Pic Collage and MOLDIV.